String Ensemble: How Does Hiring One Work? You might be thinking of hiring a string quartet from your hometown, but the problem with that is you’re limited in your selection. After all, even in a medium-to-large city there might not be a professional string ensemble that’s worthy of your wedding or special event. That’s when it’s a good idea to consider Perfect Harmony Strings. When you start talking with us, you can be sure that your event will have a group of professionals that can handle the music you request. 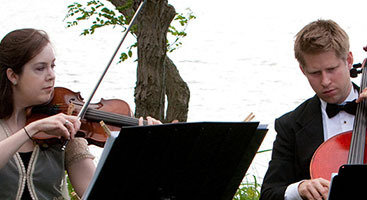 You’ll also be getting musicians who are accustomed to playing in a professional string ensemble. How can we be everywhere at once, all around the country? Here’s how it works. On this page you can tell us all about you and your event. We’ll need the basic contact information, of course, but also the type of event that you’ll be having as well as a host of other questions that will help us make your music go as smooth as possible. 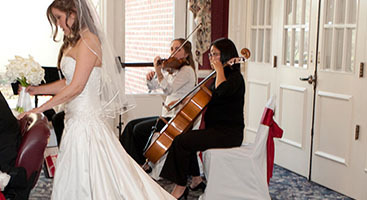 Are you looking for a single cello player or a wedding string quartet? We can help! Musicians are a close-knit group, even when they’re separated by thousands of miles. 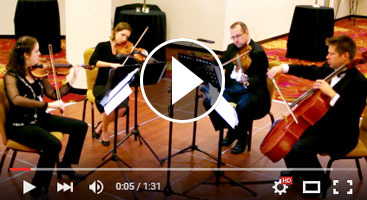 Over the years the manager of Perfect Harmony Strings, Gretchen Heller, has formed relationships with string players across the country and keeps a database of these professional players who are skilled enough to play a wedding or event with ease. We have a huge selection of songs to choose from, both modern and classical, and can learn provided music in a short amount of time. You can choose exactly what you want to hear, or leave it to us to provide you with amazing sounds. On the day of your event, your musicians will show up ready to play. They’ll be on time and dressed appropriately for the occasion. 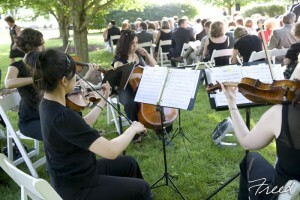 They will simply need guidance on when to play from a wedding or event coordinator. At that point you can sit back, relax, and enjoy the music. We want you to have the best music available no matter your event or where you are in the country. Let us know about your event and we’ll get back to you as soon as possible.